Do you have good walking shoes? 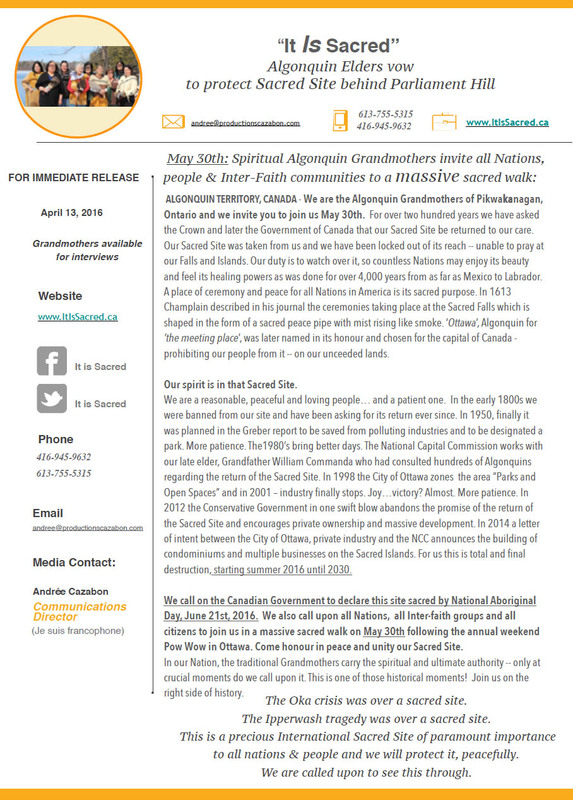 Spiritual grandmothers from Pikwakanagan First Nation on unceded Algonquin territory are organizing a sacred walk on May 30, 2016 in Ottawa. More details will be available closer to the date.